Our hay is harvested at the peak of maturity. This ensures a proper seed head and stem to leaf ratio, resulting in the softest, leafiest hay small animals prefer to eat! 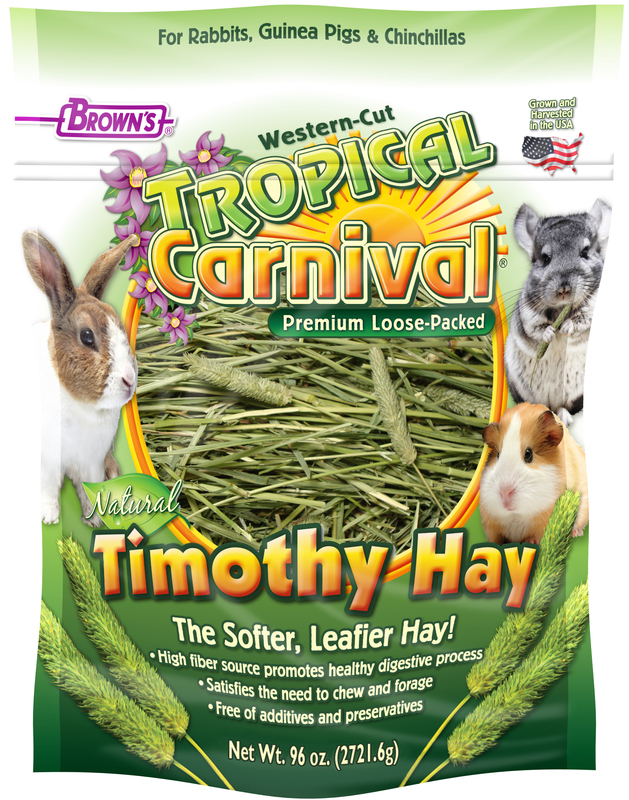 Timothy Hay is an exceptional long strand fiber and roughage source for small animals. It’s a late-maturing bunch-grass with relatively low protein, low calcium and high fiber. 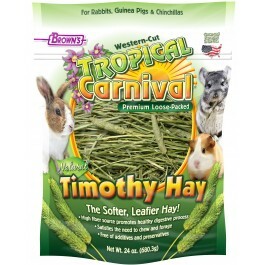 To promote the natural chewing behavior, Timothy Hay can be fed free choice to a variety of small animals including rabbits, guinea pigs, chinchillas and more! Our select hay is sourced from the U.S. Northwest, the provider of the worlds highest quality Timothy Hay. 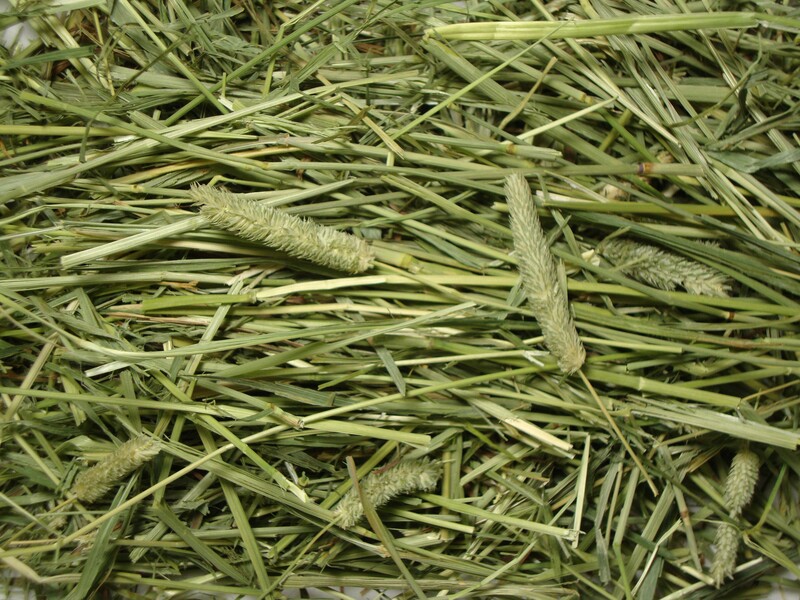 For optimum freshness, this premium hay is cut, cured, and harvested from weed-free fields. It’s compressed into large bails to maintain color and freshness and stored indoors until packaged into our 24, 48 and 96 oz. sizes. • The softer, leafier hay!